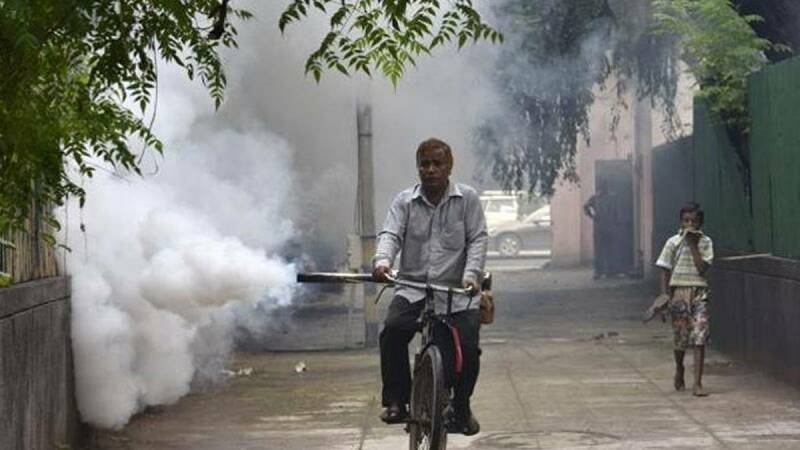 The death toll in Delhi due to dengue has mounted to 14 after AIIMS confirmed five fresh cases of fatalities due to the vector-borne disease. More than 1100 people have been affected from the disease this season. "The five deaths from dengue took place between September 1-13," a top AIIMS official told a news agency. # Five more deaths due to dengue have been registered in the national capital, taking death toll to 14. # Delhi is facing the heat of swiftly spreading disease. Till Tuesday, more than 1100 cases have been tested positive. Interestingly, this is comparatively less than last year's 1400. # The highest number of Dengue cases were registered in 1996. Nothing less than 10,252 cases and 423 deaths were reported. It is a viral infection spread by the bite of the aedes aegypti mosquito. The last chikungunya outbreak in India was in 2006, when more than 1,500,000 cases were reported resulting in several deaths. The word "chikungunya" means "to become contorted" in Kimakonde, a language spoken in parts of Tanzania and Mozambique, which refers to the contorted walk of infected persons who develop severe joint pain. The fever lasts for two to three days but the virus remains in the human body for up to a week. Mosquitoes biting a sick person during this period can spread disease to others around them. Chikungunya rarely kills, and most deaths occur in older people with existing diseases. Chikungunya can be detected using serological tests which will look for antibodies in your blood. Unlike chikungunya, recovery from an infection will give life-long immunity. The price of the confirmatory RT-PCR (Reverse Transcryptase–Polymerase Chain Reaction) test is capped at R 1,500 at public and private labs by Delhi government. Chikungunya has no cure, people are treated for pain and fever. The symptoms start within five to six days after you’re bitten by an infected mosquito. Fever lasts for seven to 10 days. Symptoms include high fever (Most people recover in a week to 10 days by taking paracetamol for fever and pain and drinking lots of fluids to prevent dehydration). If you suspect you have dengue, you need to get two tests done. Confirmatory test: Get the NS1 Elisa-based antigen test done after three days of developing fever with symptoms of body ache, headache or nausea. The price is capped at R 650 by Delhi government. Platelets count: Platelets help the blood clot and stop bleeding. Very low levels – the normal range is between 150,000 and 450,000 platelets per microlitre of blood – lead to internal bleeding and shock, which results in death from multi-organ failure. The cost is capped at R 50. Less than 60,000: Platelet count should be done twice a day. Also a daily test is needed if the rate of drop is 50% or more within 224 hours. Less than 30,000 or if you’re bleeding: It’s a medical emergency, you need hospital admission. Less than 10,000: Blood transfusion may be needed. Platelets count less than 30,000. Bleeding from the gums, nose, ears or blood in the stool or urine. Dengue has no cure, the fever and pain is treated with paracetamol. Don’t use aspirin as it may aggravate bleeding. Sanofi’s Dengvaxia vaccine against all four dengue strains available globally, but is awaiting regulatory approval in India. Platelet transfusion may be needed if platelets fall below 10,000 platelets per microlitre of blood. Use mosquito repellent sprays, creams, coils, mats or liquids to drive away mosquitoes and use screens on doors and windows. Wear loose clothes that cover your arms and legs. Aedes aegypti, the mosquito that spreads dengue infection, breeds in clean, fresh water in vases, tanks, birdbaths, fountains, old tyres, containers, potholes etc. Prevent mosquito breeding by drying out all containers at least once a week.